By Gary Gamble December 7, 2015 December 8, 2015 Directors / Indie Cinema / Korean Cinema / Lists / upcoming releases to watch out for . It has been a while since I put a list together of upcoming or already released Asian movies. So for the last week I have worked very hard (on buses on the way to work) to hook you up with all these new films. A nice variety of genres but mainly action/thriller/revenge. I think the ten movies featured in this article should be on the watch-list of every lover of Asian cinema. This is adapted from a web-toon by Yoon Tae-ho that dealt with corruption in South Korea. vative newspaper, raises congressman Jang Pil-woo to the position of leading Presidential candidate using the power of the press; behind this is his secret deal with the paper’s biggest sponsor. Ahn Sang-goo, a political henchman who supported Lee and Jang, gets caught pocketing the record of the sponsor’s slush fund, resulting in a dismembered hand. Woo Jang-hoon, an ambitious prosecutor, starts to investigate the relationship between Jang and the sponsor, believing that it’s his only chance to make it to the top. While getting down to the brass tacks of the case, Woo meets Ahn, who has been methodically planning his revenge. Now the war between the one blinded with power, the one hell-bent on vengeance, and the one eager for success begins. There is a serial-killer on the loose and police have no idea who it is that is brutally slaying these people. A tattoo artist starts to be come suspicious when she notices a tattoo of Medusa on a man’s back – the snakes on Medusa’s head add up to the same number of people who have been murdered, and every time someone else get’s killed, this customer returns to get another snake added to his tattoo. Yet again, it would seem like South Korea have come up with another original concept for a serial-killer movie. Tattoo is just hitting cinemas soon across Asia (I check the Asian box-office more than I check my cinema here in Ireland) so it could be a while before we get to see it over this neck of the woods. When more info does surface, you guys will be the first to know. 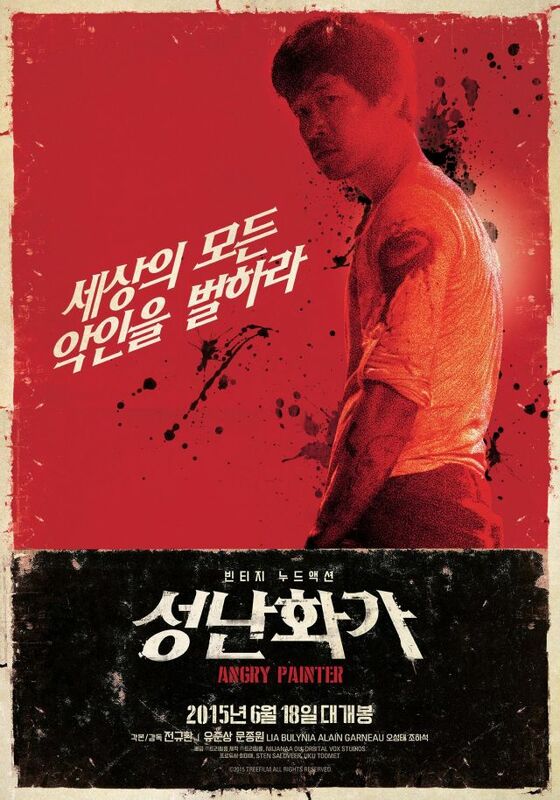 From what I can remember, Angry Painter is both a S.Korean production and an Estonian production. This is the first time in cinematic history that this has happened and I must admit, I am looking forward to seeing something very dark start in South Korean, and see how the violence and madness continues in Eastern Europe. The story-line centres around two thug-ish friends who roam the sleazy and sinister parts of town dishing out their own form of vigilante justice. When they arrive at a nightclub, one of them falls for a beautiful Estonian girl. When an obnoxious American tourist (or Army) causes mayhem in the pub, people end up dead and then the focus of the film shifts to Estonia. 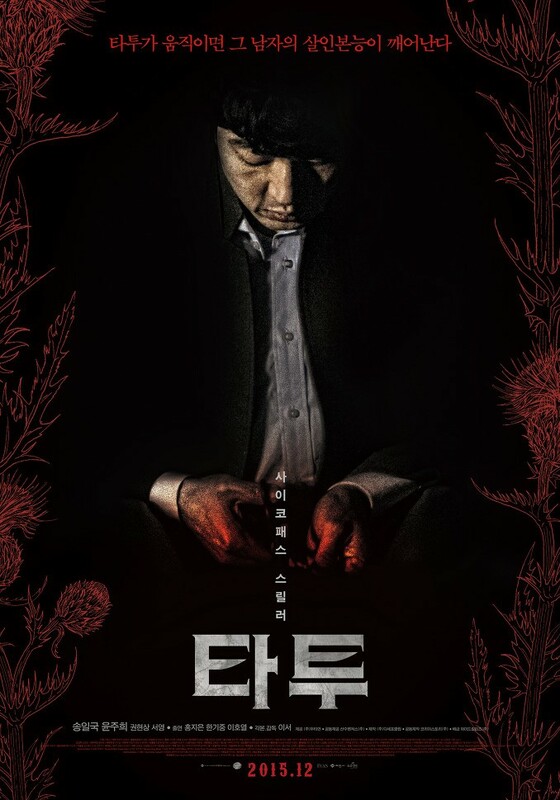 DirectorsIndie CinemaKorean CinemaListsupcoming releases to watch out for .